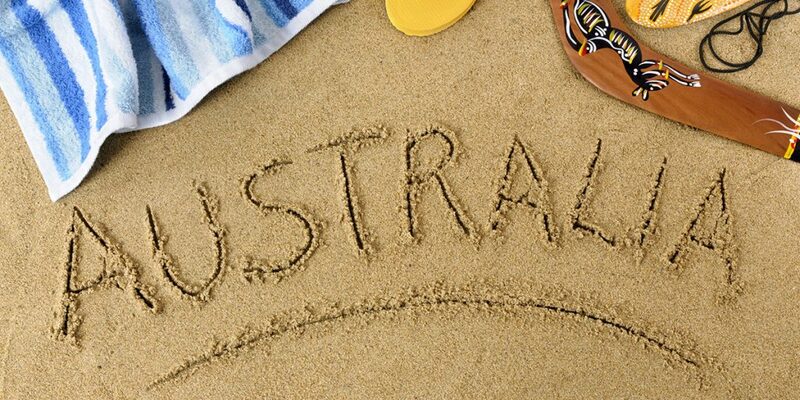 Australia Needs You » Five steps to relocating to Australia or New Zealand! The decision to emigrate will turn your life around and will be one of the biggest decisions you have ever made. You need to be prepared physiologically and financially for the big step. You will need savings and some assets to commence life in Australia. I have described below five important steps to undertake to minimise potentially higher financial burden and speed up the visa application process. I want you to successfully settle in Australia, therefore it is vital that once you had made a final decision to commence your application process to relocate as soon as possible. It is important to obtain accurate information regarding Australia, immigration requirements and visa application prior to commencing the process. Search extensively and critically assess the information available online and personal experience of other migrants or recent applicants. If you have the opportunity, travel to Australia and New Zealand and explore the countries. I have noticed that my clients who had been previously in Australia will more likely be highly optimistic and more determined. All the information you find online, please read critically, particularly various forums regarding Australian and New Zealand visas and immigration, where visa applicants are attempting to provide immigration advice. On many occasions the provided information is exaggerated or incorrect. It is best to verify information with an additional reliable source, such as a Registered Migration Agent and Immigration Adviser. Style a realistic view of your new life in Australia, expectations and hopes. It is wonderful when a family researches and is involved together in discovering Australia, Australian lifestyle and culture. In this case, every member of family feels that relocation is their own wish, rather than only one of the partner’s or parent’s. Involving all members will make the process much easier and more satisfactory for all. At this stage, estimate how much funds you will need for this venture, where you will receive honest and correct immigration advice and when you wish to be in Australia. Importantly, clarify in your mind, ‘Why do I want to relocate to Australia?’ This is extremely important, as guaranteed the process will be complex and ever changing and you need to stay focused. Professional assistance throughout the Australian visa application will be crucial. Initially, you need to obtain correct advice of your chances to gain a successful visa grant. You need an honest, reliable professional who will act in your best interest. If you are told gaining a visa is a non-complicated and straightforward process, you should be cautious. When you seek professional assistance, obtain this from a Registered Migration Agent in Australia or Licenced Immigration Adviser in New Zealand. They will in most cases provide you with correct and honest information as required to follow the Code of Conduct. Agents are able to maximise your chances of visa success and minimise your potential additional expenses. Often non-registered and non-licenced agents are found to be delaying processes and their competence is in many cases questionable. At Australia Needs You.com, I am often contacted by individuals and families already located in Australia or New Zealand on a temporary visa, who are desperately searching for a further visa to stay. Most find that they do not meet the criteria for a further visa. In many cases, they used a non-registered agent involved, who provided them with advice or they had arranged their initial visa themselves. Please do not follow this heartbreaking path.  Make sure you obtain assistance from a Registered Migration Agent or Licenced Immigration Adviser. Always know the conditions attached to your visa, be aware of all the costs involved and have a charted path to how you will get to your permanent residency (PR). Once you have consulted a Registered Migration Agent or Licenced Immigration Adviser, you will have vital information on how to proceed, what steps are involved in your visa application and how long each stage of the application will take. When you engage Australia Needs You.com for assistance, I will initially discuss with you a complete timeline, initial checklist and all the information regarding required documentation. In the application process, you will most likely require International English Language Testing System (IELTS) examination or similar English test result. Timeline will include time for intensive preparation and undertaking of the English test. As evidence of sufficient English is one of the most important components of the visa application process, further stages of the visa application processes will depend on a successful result. In English test preparation, it is most important to initially determine the level of your current knowledge. This could be done through online assessments or by personal examiner’s testing. You need to allocate time for study in order to meet the required band score. You are able to study for the exam online or with printed examination booklets. I recommend to prepare well for the test, as higher scores such as IELTS 7 in all bands are not a matter of luck. You need to have a good understanding of the structure of the test and how to maximise your result. The test costs are high and also repeating the test many times is not practical as it will cause you undue stress. Please prepare well and concentrate on passing the first time with the required mark. Good luck! At Australia Needs You.com, I will discuss with you the initial checklist of all required documents and other planning matters with guidelines on how to obtain and prepare all documentation. You will be able to plan what is needed and where it can be obtained. I will provide you with advice about which documents could be grouped and therefore, save you time. Some documents could be issued by the same government bodies and arranged at the same time. For example, a copy of a birth certificate, a citizenship certificate, a marriage certificate and a new passport could be obtained from the same government body in your own country. I will assist you to prepare documentation, including letters about your personal circumstances, correctly and most efficiently to speed up the process. You will be able to tick off documents provided in a much organised matter. In our Online Consultation, we will discuss each point of the process to make sure you are aware of what is required and what your next steps will be. During your visa application process, there will be many issues needing finalisation in your own country, such as cancelling your job, sale of the assets, arranging matters with your children’s school and government departments. Therefore, it is important to have a timeframe prepared well and keep a clear focus on relocation; it is important to have a balance between both. Most challenging is looking for employment in Australia or New Zealand from overseas. While you are overseas and your visa application has been in progress, you need to start seeking your opportunities for work. You need to commence establishing valuable connections and networks through social media, applicable associations and professional bodies in your profession that will be valuable while searching for the job and settling in Australia or New Zealand. You must prepare an acceptable Australian or New Zealand Curriculum Vitae or Resume and apply for the jobs suitable to your occupation and work experience. When you are applying for a job position, research the business, their products and services and be familiar with the particular industry in Australia or New Zealand. In your cover letter, address and display your strong points and how hiring you would contribute to and improve the employer’s business. The employer will appreciate your input and you will stand out from other candidates. This is crucial when you are searching for your first job position in Australia or New Zealand. I am able to take some of the burden with relocation from you.